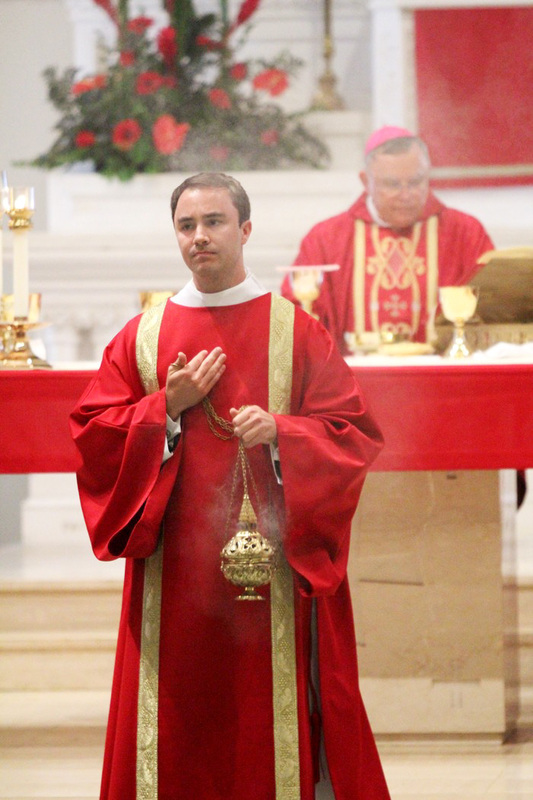 Thurifer Daniel J. Arechabala, from Mother of Divine Providence in King of Prussia and II theology seminarian, leads the entrance procession. 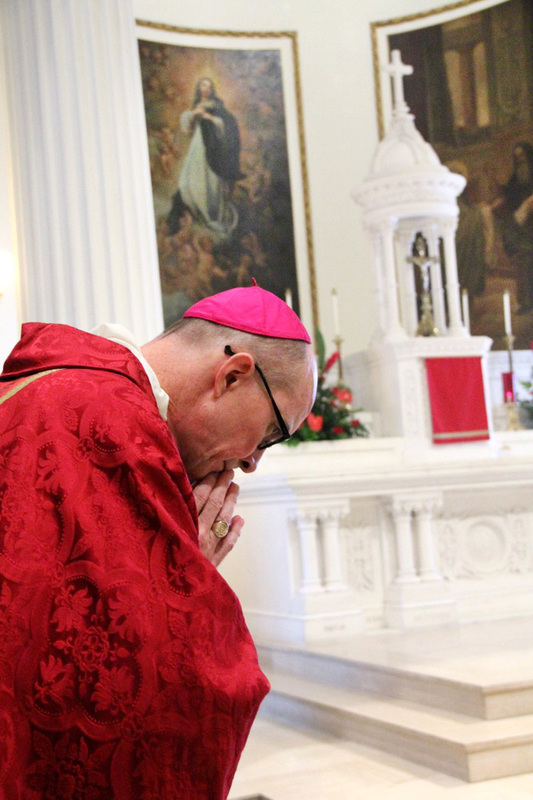 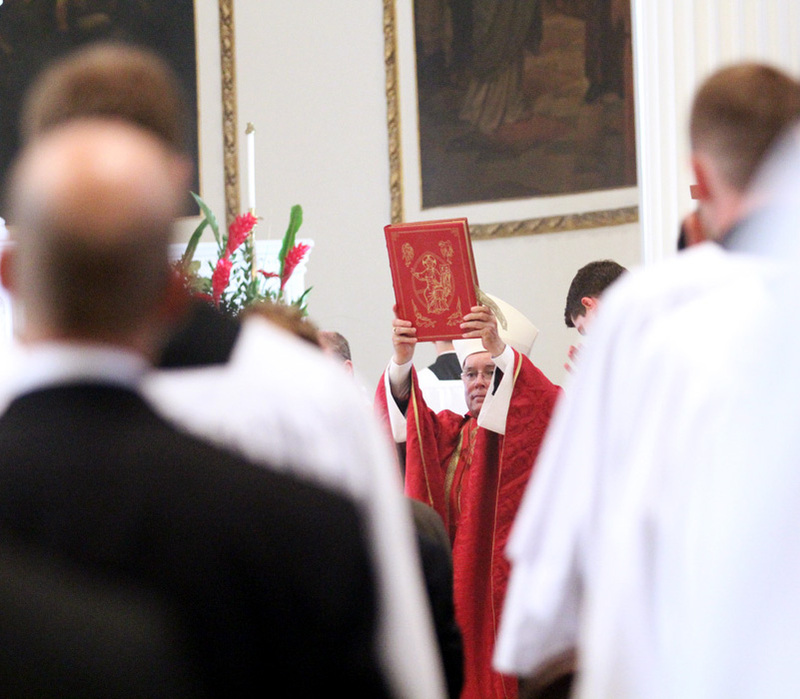 Bishop Timothy Senior, new rector of the seminary, prays at the beginning of mass. 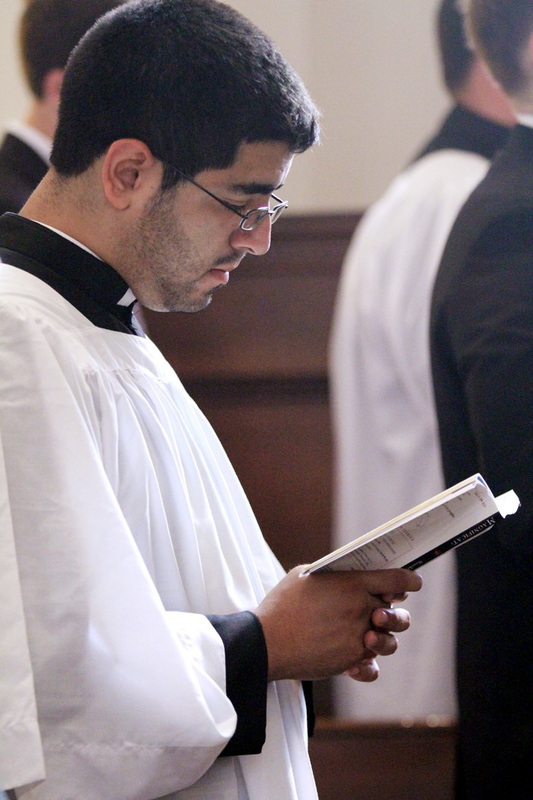 Manuel J. Flores, IV College seminarian from St. Hugh of Cluny Parish, prays during mass. 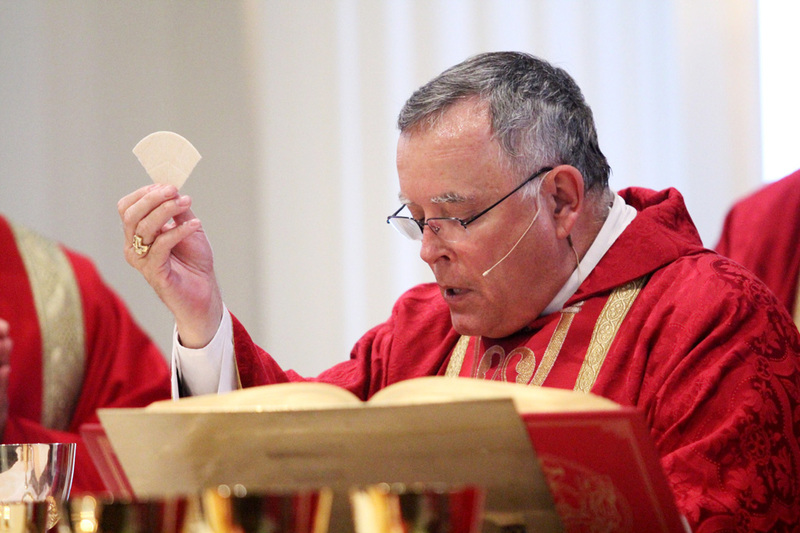 Archbishop Charles Chaput blesses the congregation with the Gospel before his homily. 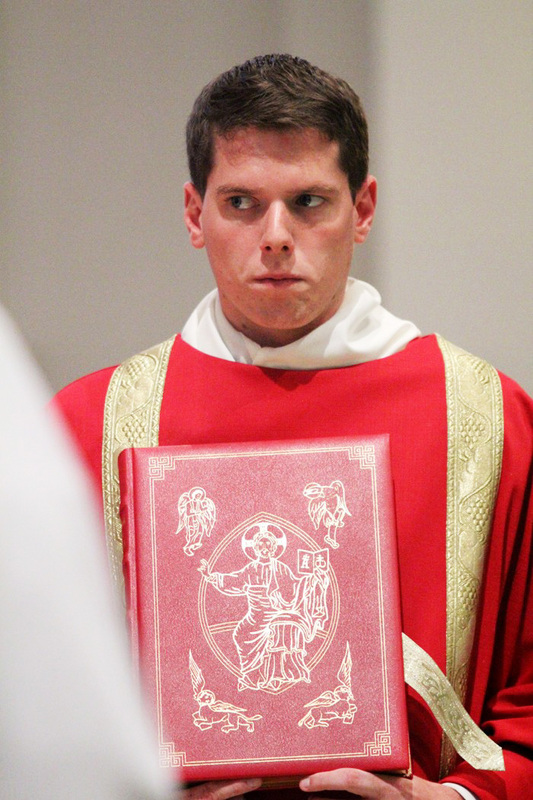 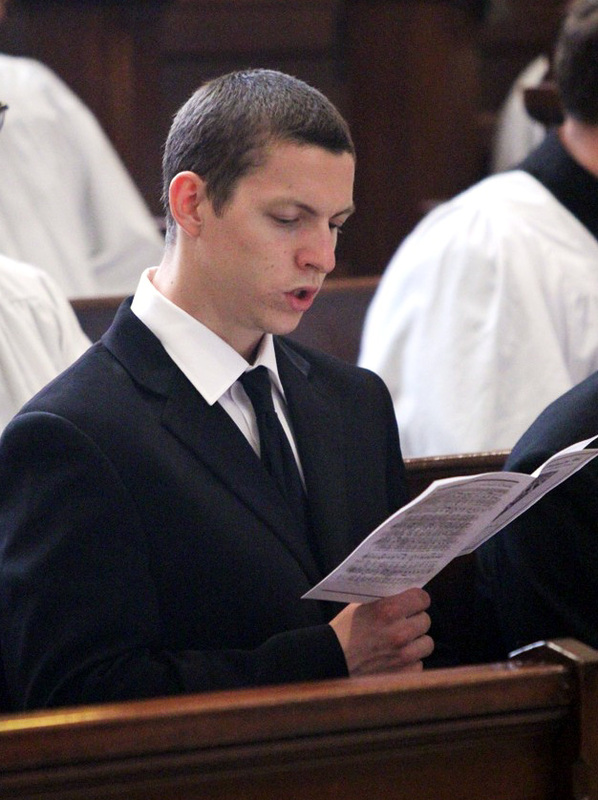 Transitional Deacon Sean Loomis incenses during the Liturgy of the Eucharist. 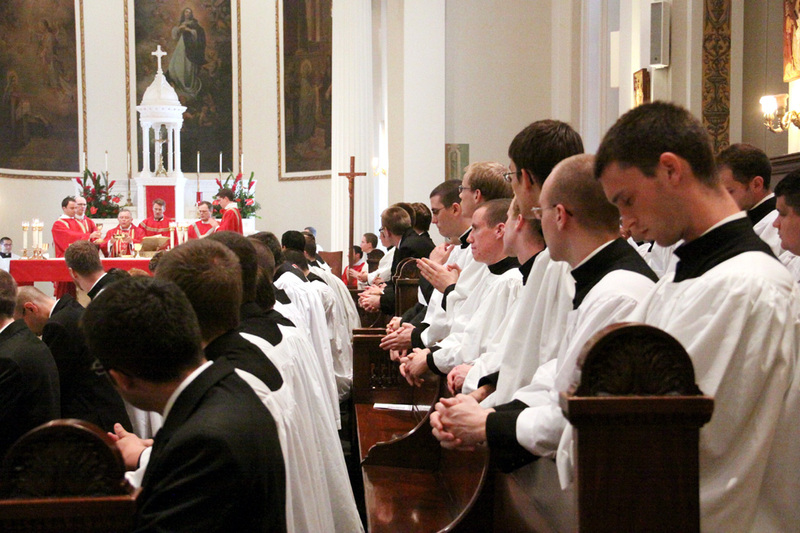 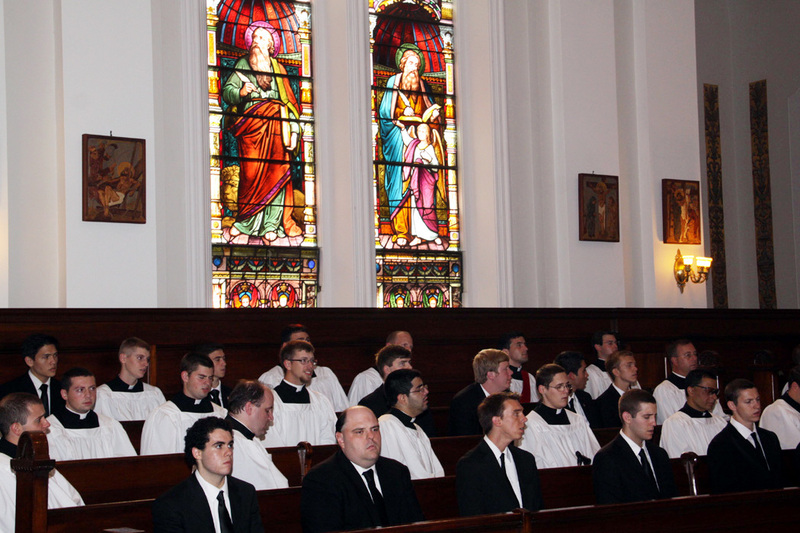 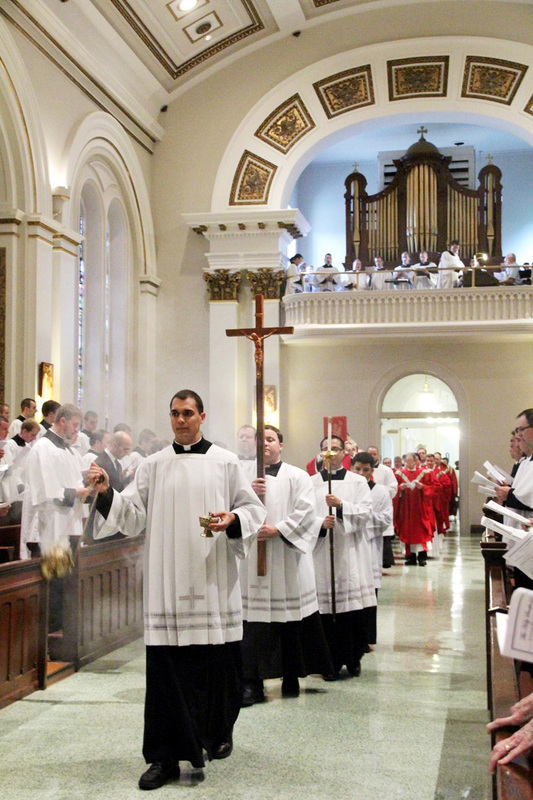 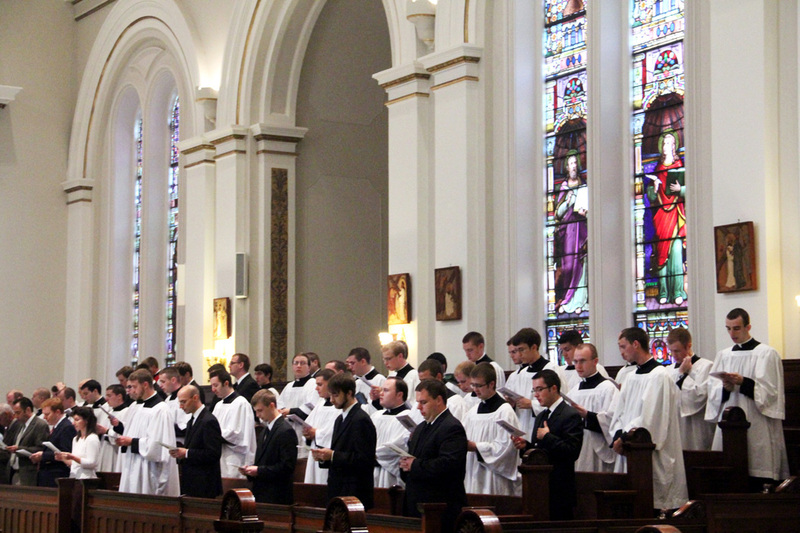 Men entering the seminary pray during Liturgy of the Eucharist. 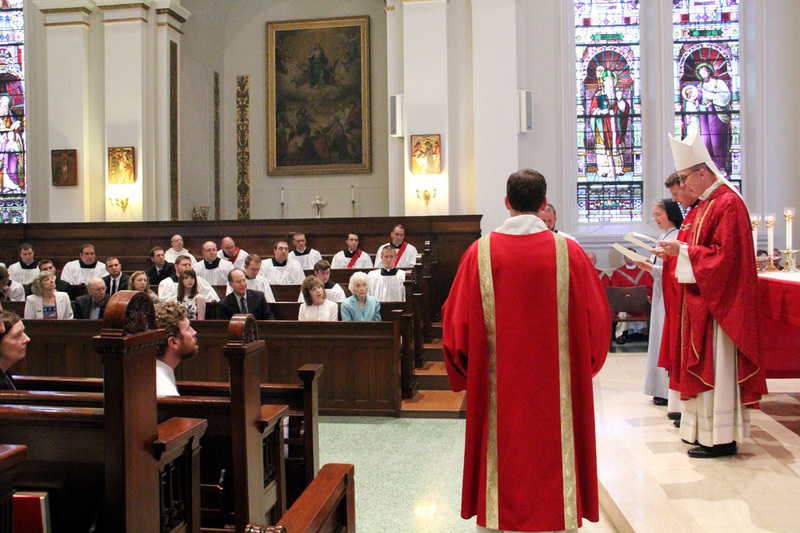 New faculty and staff members make their Profession of Faith and Oath of Fidelity: Sister Gilmary Kay as Administrative Assistant to the Rector, Father Paul O’Donnell as Director of Spiritual Formation, and Bishop Timothy Senior as Rector. 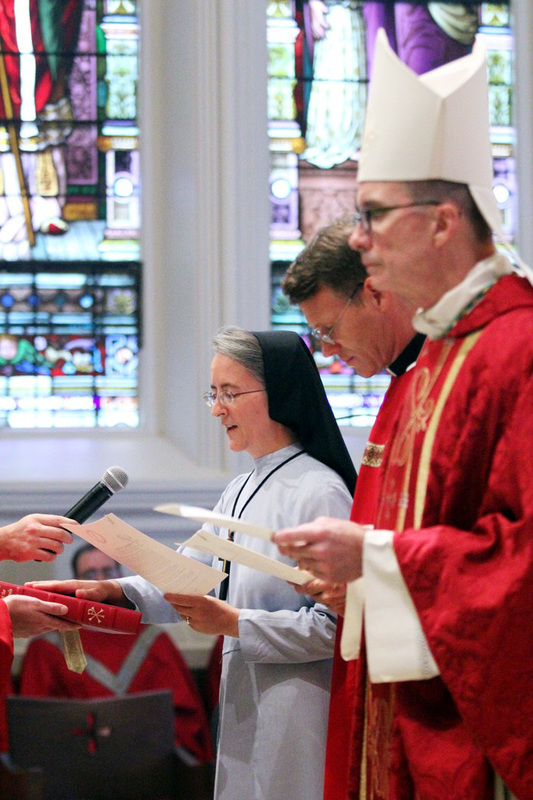 Sister Gilmary Kay (Administrative Assistant to the Rector) makes her Profession of Faith and Oath of Fidelity along with Bishop Timothy Senior as Rector, and Father Paul O’Donnell as Director of Spiritual Formation. 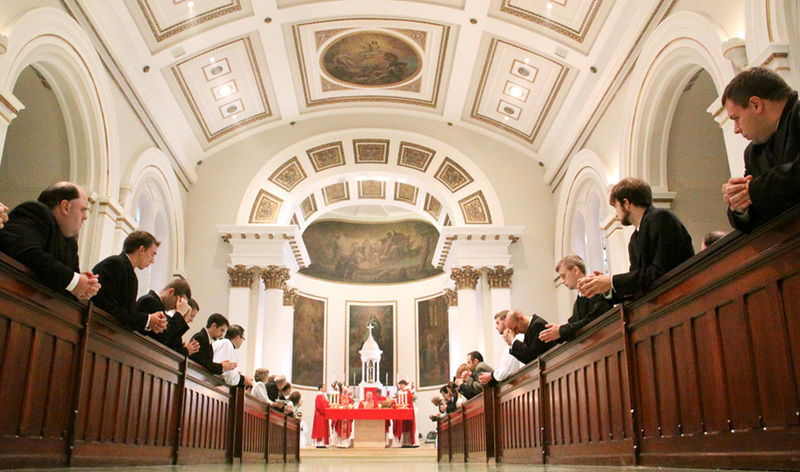 This is done every year by all new faculty and staff members at the end of mass. 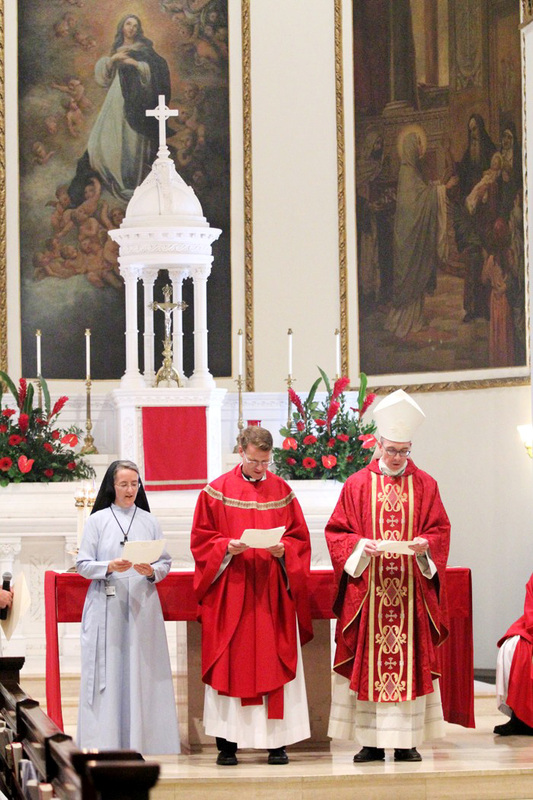 Bishop Timothy Senior makes his Profession of Oath and Fidelity (along with Sister Gilmary Kay ,Administrative Assistant to the Rector, and Father Paul O’Donnell, Director of Spiritual Formation) as his family watches. 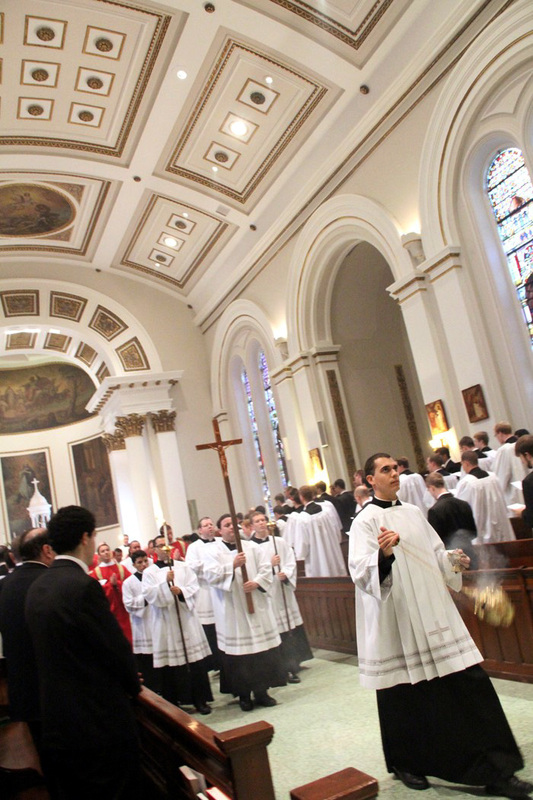 Thurifer Daniel J. Arechabala, from Mother of Divine Providence in King of Prussia and II theology seminarian, leads the recessional. 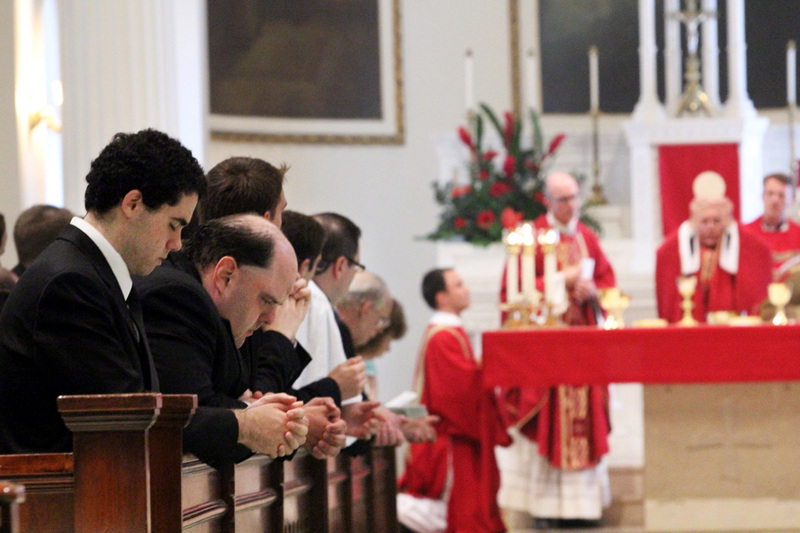 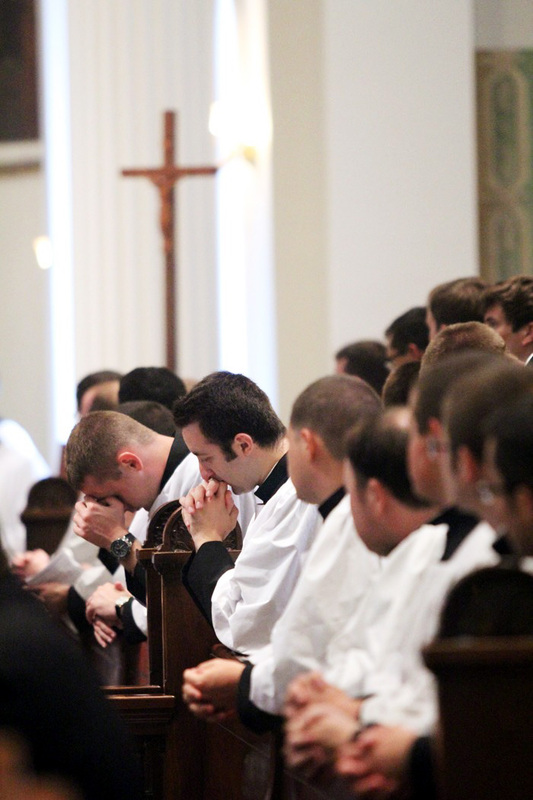 David O’Brien, III College from St Peter Parish West Brandywine, prays along with fellow seminarians and faculty.